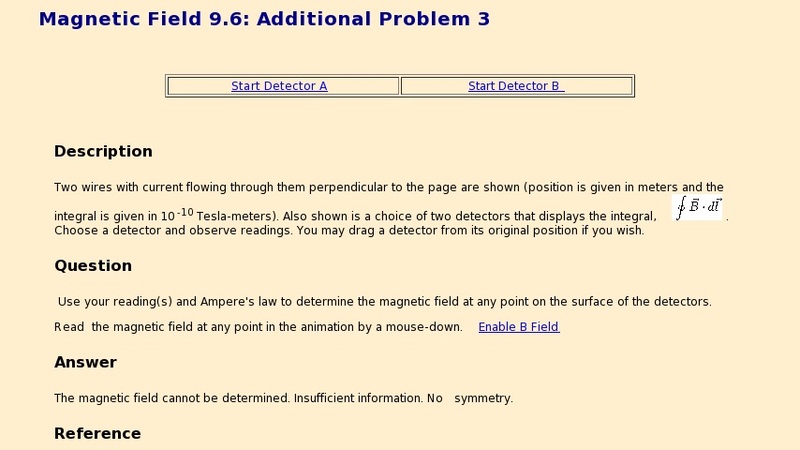 Two wires with current flowing through them perpendicular to the page are shown (position is given in meters and the integral is given in 10-10 Tesla-meters). Also shown is a choice of two detectors that displays the integral, . Choose a detector and observe readings. You may drag a detector from its original position if you wish.